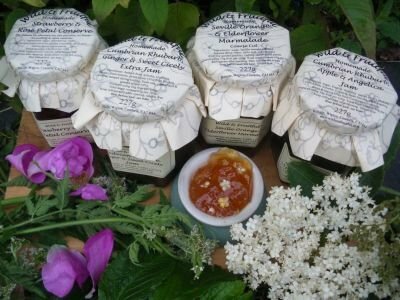 Lip smacking, award winning preserves direct to your door. And we are now doing wedding favours! Local, hand picked wild blackberries, a few apples help the set. Very popular and exotic. Flavoured with rose petals from Jane's garden. Only from Cumbrian gardens and growers. Delicate lavendar flavour for toast, cones and sponges. Local fruit with Navy Rum; traditional West Cumbrian combination. For toast, scones, cakes, muffins and ice cream. Creamy texture, very fruity. Includes homemade rosehip puree. Only Cumbrian damsons, stoned by hand. Only Cumbrian damsons, stoned by hand. Steeped with vanilla pods. Divine flavour. Even gooseberry haters love it ! Local plums; fresh and crunchy combination for breakfast. Local plums, delicious and popular for toast, sponges, roulades and scones. Made only with lovely Cumbrian raspberries. Gold Award winning. Traditional recipe using local rhubarb. Local beetroot, very comforting. Excellent with cheese, ham and shepherd's pie. Deliciously crunchy for milder English cheeses, Middle Eastern food, snacks and savouries. Traditional varieties of local apples or English Bramleys. For any occasion. Fresh horseradish, very tasty. Excellent with cheese, ham, smoked fish and beef. Tasty British Raj-type chutney. Lots of fresh ginger and chillis. Local apples. Moreish crunchy cucumber and onion pickle. Gold Award winning. Local tomatoes, classic recipe. A chutney for any occasion. Own recipe, dark and rich. Traditional ingredients including rum, treacle, brown sugar and dried fruit. Cumbrian damsons, rich, traditional recipe. Improves with keeping. Very nutty and tasty. For cheeses, pilaffs and tabbouleh. Mild and crunchy. Local carrots, popular and very tasty. For cheese toasties and shepherd's pie. Over 1/2lb of tomatoes packed into every jar. Flavour has a 'wow' factor! Double Gold Best Artisan Marmalade, Dalemain 2010. Silver Dalemain 2010, 2014. Seville orange with chilli. For toast, sausage and bacon. Bronze Dalemain 2009. Traditional Dundee-type marmalade. Silver Dalemain 2012. A classic. Silver Dalemain 2017. Beautiful to look at with a marvellous fruity taste. Gold, Taste Cumbria 2013. Amazing balance between bitter and floral. Traditional and very popular. Silver Dalemain 2012. Grapefruit, orange and lemon. A mild, traditional favourite. Use as a spread or in cakes. Damson, plum, apple, red/whitecurrants, sultanas and spice. Delicious and very popular. Grape, sweet pepper and apricot. Mild, attractively coloured for cold meats and cheese. For turkey or Brie. With a hint of fresh orange. With cranberries and chestnuts. For cold meats, pâtés, pies and cheese. Christmassy, figgy flavour with rhubarb and candied peel. That bit special for Christmas. Traditional accompaniment to Christmas pudding. A twist on the traditional classic. North West Fine Food Best Jam and Sliver Dalemain 2009. Total Yum ! For Crème Chantilly, ham, cold turkey, game pie, pâtés and robust cheeses. Serve with cheese or alone after-dinner. Lovely with cream and ice cream. One of the best pickles for cold white meats, and and mutton. These are the Seville oranges sold by Waitrose. 18kg boxes £1.75/kg for a full box. Otherwise £2.35/kg for smaller quantities, both exclude cost of carriage. Some of our fantastic partners. Your Bread & Butter Pickles are ABSOLUTELY delicious - bought recently at Sizergh Farm Shop. 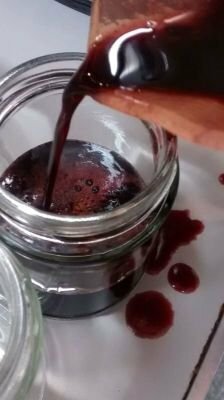 We just opened a jar of Cumbrian blackcurrant jam with rum that I bought earlier this year. It is absolutely delicious! Purchased some Pear & Walnut chutney to accompany our cheese and wine afternoon in Cartmel Unsworths yard. What a perfect match. Absolutely delicious. Hope I can order some online. 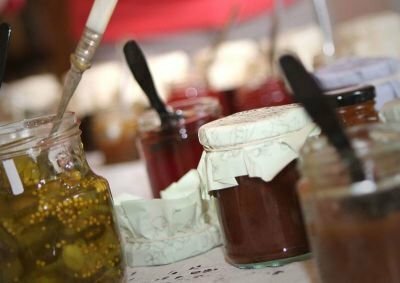 You will be hard pressed to find better and more interesting jams and preserves than from Jane and her team! The Chef Show is part play – part cookery demonstration (including tasters!). It takes the audience behind the scenes on a busy Saturday night in a local curry house. It reflects on the many villages and market towns where there are ‘Indian’ restaurants with staff that rarely have any social contact with other members of the community apart from serving them food. Jennings Brewery has your Easter weekend all lined up... ✔️Open Mic night on Good Friday.🎶 ✔️Easter Fun and our first ever Mini Farmers market on Easter Saturday! Calling all adventure lovers. Join us for a one-of-a-kind evening celebrating exploration of some of the wildest places on earth. We’ll be screening the world’s BEST adventure films and we’ll be joined on stage by two incredible speakers. This workshop covers seed sowing techniques using small, medium and large seeds. It is suitable for anyone who would like to improve their success rates and grow on their seeds at home. All materials, tea and coffee provided. Please wear suitable clothes and footwear and let us know of any relevant allergies. £15 per person. Please book places in advance. Learn basic willow weaving techniques and create a unique plant support to take home for your garden. Find out how we use and manage the local natural resources and learn a new skill which you can continue at home. All materials and equipment provided. The Marmalade Festival will be returning home to Dalemain on Saturday 16th March! 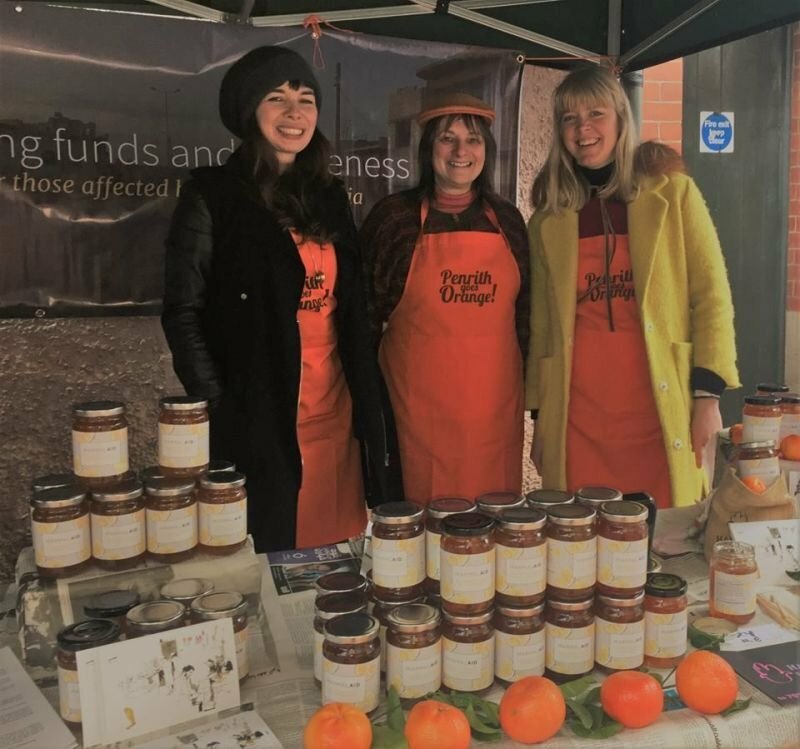 The World’s Original Marmalade Festival will be returning on Saturday 16th March 2019, so put the date in your diaries and get ready to go orange! 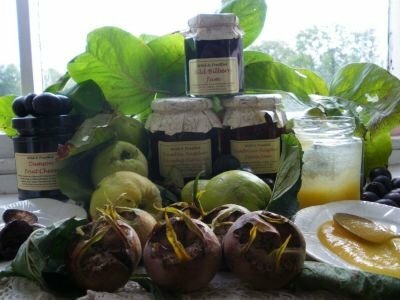 Join us at Dalemain for a weekend of marmalade celebrations with market stalls in the historic courtyard, cookery demonstrations, talks, entertainment and shows that will inspire you, your family and friends to take the nation’s marmalade to your heart. The Dalemain Festival is supported by Penrith Chamber of Trade and Commerce, who will be providing Classic Coaches to take visitors between Penrith and Dalemain, as well as organising lots of exciting orange windows & special offers in town. Selling local produce including meat, bread, fruit and veg, cheese, cakes and preserves, crafts and plants in season. Tea/coffee morning every month run by a different charity or group. Featuring the BAFTA Award Winning historian and TV presenter recount anecdotes of memorable experiences from his very successful career as an historian and broadcaster. Otherwise known as 'The History Guy' Dan will also research and include historical facts and stories relating to Workington and will be aided by the use of digital screens. 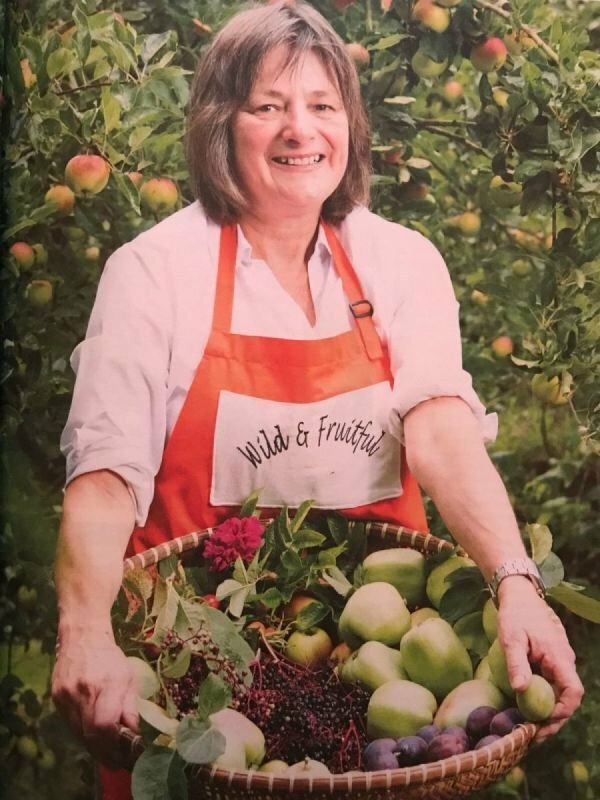 Learn the theory behind grafting fruit trees with Heathfield Orchards and then have a go yourself! No prior knowledge of grafting is needed. This course is open to anyone aged 16 or over. £25.00 per person. Regular Farmer's Markets are held across Cumbria where you can experience the culinary delights that the area has to offer. We have listed them below, so you can hopefully find something taking place near you. Hexham Farmers Market is a long established market in the heart of the historic town of Hexham in Northumberland. Our producers come from within a 50 mile range of the town and they are all passionate about what they do. They make the products themselves using a high percentage of locally produced ingredients, so the meat you buy at Hexham Farmers’ Market is reared by the producer and the vegetables are locally grown. You can expect a chutney to have been made with locally grown vegetables or fruit. This winter something special is coming to Lancaster. The historic garden of Dalton Square will be transformed into an Ice Rink as Lancaster on Ice comes to town. Enjoy 6 weeks of entertainment, skating, food, drink and much more under the watchful gaze of Queen Victoria. We hope you’ll join us. Christmas Carol Singing, Norton Priory. Festive food fair with all the sights and smells you'd expect at Christmas. Main Street will be packed with giant marquees selling food, drink and pretty things for your Christmas table. Fruit Tree Pruning, Norton Priory. Food, goodies, gifts, food, goodies, and more goodies. Come to Lowther during the last weekend of November and find some delightful items you might not stray across elsewhere. All set in the wonderful atmosphere of the Lowther courtyard. 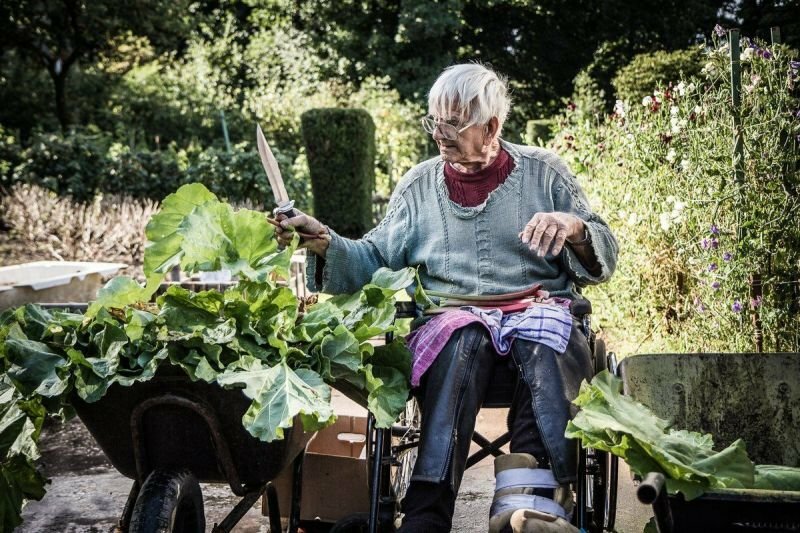 Annual General Meeting and talk from Jane Maggs (Wild & Fruitful) about edible ornamental plants. 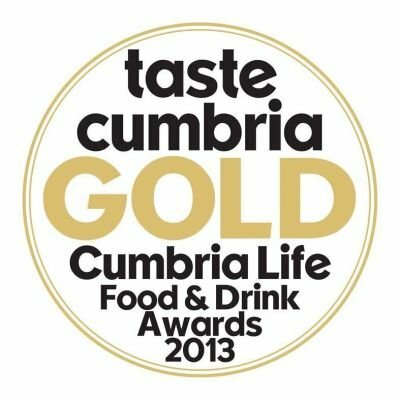 Established in 2010 Taste Cumbria is the county’s biggest annual food & drink festival. The annual flagship festival in Cockermouth sees local shops, restaurants, chefs and foodies join forces for a weekend long culinary celebration. Since then Taste Cumbria has spread its wings to include a whole calendar of events throughout the year. If you have questions or have an special requests, please get in touch. And we are now doing doing wedding favours, just get in touch with your requirements.